By Kate Kelland, LONDON, Nov 21 - More than 18 million people now have access to life-saving AIDS treatment, 1.2 million more than at the end of last year, the United Nations said on Monday. In a report on the AIDS pandemic, which has infected 78 million people and killed 35 million since it began in the 1980s, UNAIDS said the consistently strong scale-up of treatment has seen annual AIDS-related deaths drop by 45 percent to 1.1 million in 2015 from a peak of about 2 million in 2005. But, as more HIV-positive people live longer, the challenges of caring for them as they get older, of preventing the virus spreading and of reducing new infections are tough, UNAIDS said, even though drugs can reduce virus levels in a patient's blood to near zero and significantly reduce the risk of passing it on. 'The progress we have made is remarkable, particularly around treatment, but it is also incredibly fragile', UNAIDS' executive director Michel Sidibe said as the report was published. It called for 'life-cycle' approach to offer help and prevention measures for everyone at every stage of life. The report also cited de Oliveira's phylogenetics data from South Africa showing that young women who become infected with HIV often catch the virus from older men. It said prevention is vital to ending the epidemic in young women and the cycle of HIV infection needs to be broken. The report, saying the number of people with HIV getting life-saving drugs was 18.2 million, also showed that the rapid progress in getting AIDS drugs to those who need them is having a significant life-extending impact. In 2015, there were 5.8 million people aged over 50 living with HIV - more than ever before. 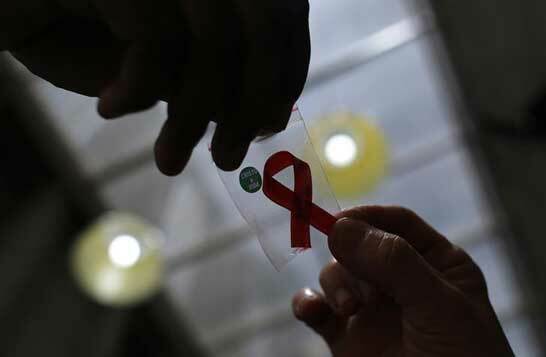 UNAIDS said that if treatment targets are reached - the U.N. is aiming to have 30 million HIV positive people on treatment by 2020 - that number will soar.